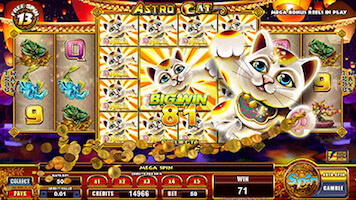 A part of the Stellar Jackpot series, the Astro Cat pokie machine is a unique combination of an Asian-themed game set in the cosmic-like scenery. It turns out the eclectic theme is just part of the appeal of the game, which is available on both mobile and desktop devices, for both free play and the real money mode. 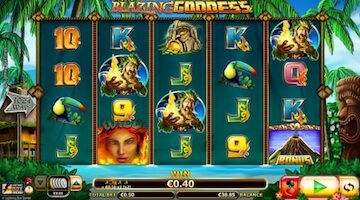 The Lightning Box Games is already an established software provider that powers up a range of reputable online casinos. 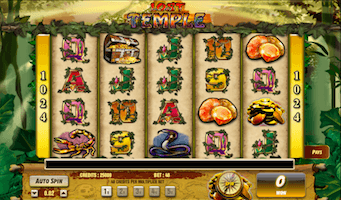 The pool of their games includes both classic and themed pokie machines, of which some were enhanced with the studio’s unique Stellar Jackpots feature. As some other popular titles from the same provider, the Astro Cat pokie also uses the Reelfecta system, where two 2×3 reels are placed next to a 16 position grid reel in the centre. It may sound a bit confusing but you will actually feel like playing a 5×3 reel game. Powered by the Lightning Box Games, Astro Cat is a 8-reel video pokie machine with 4 rows and more than amazing 1296 ways to win. The game features a unique “all-ways” gameplay, where you are provided with even more chances to land a winning combination. The game combines symbols from different Asian countries, set against the deep space background, so you need to land 3 or more bonsai trees, koi carp, and lucky frogs in order to form a winning combination. In addition, you will find lower paying symbols such as the standard deck of playing cards. The flamboyant Chinese Dragon is the highest paying symbol that awards you with 250 in case you collect 5 these icons on an active paying line. The Lucky Frog brings 150-coin prize, while landing 5 golden carps will see you scoop 100 coins. The other rewarding icon is the Bonsai tree worth 75 coins, whilst you won’t score that much with the playing card symbols. There are no classic paying lines, so all you have to do is to determine the amount of your wager. You can also use the Autoplay option and spin for a predefined number of times, without being interrupted. Collect as many Firecracker scatter symbols as possible to score a good prize: more than 9 scatters will make you end the day with 2.500 coins, 8 scatters grant a prize of 1.250 coins whilst 5 will award you with only 50 coins. The game also offers a rewarding free spins bonus round, combined with the Mega Spin option. Collect at least 3 free spins icons and the game will offer you 12 additional games at no cost. In addition, you have a goal to try to avoid the poison bottle symbol. If manage to play all 12 games without hitting the bottle, the game will award you with the Mega Spin. Should you eventually hit this bottle, you get a 2x multiplier added to your winnings with the bonus round ending soon after. This is the part where things are becoming more interesting: the giant Chinese cat symbol will land on the middle 4 places in the middle reels and turn all those places into wilds. With this option activated, you can potentially score some massive wins. The Astro Cat pokie machine offers the top prize worth up to 2.500 coins, while the maximum amount of money you can score in this game depends on the size of your wager. In fact, you can start the game with as low as $0.01 per line, per spin, going up to $50. A combination of manga, anime and Hello Kitty set in the space adventure, the Astro Cat is a pokie machine filled with bonuses and rewards. The gameplay may look a bit complicated to master, but you will soon realize the game is far from complex. 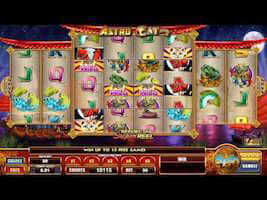 You can enjoy playing the Astro Cat video pokie game either online via desktop, or via all modern mobile devices including tablets and smartphones.